Excitement and Elegance Come Together. 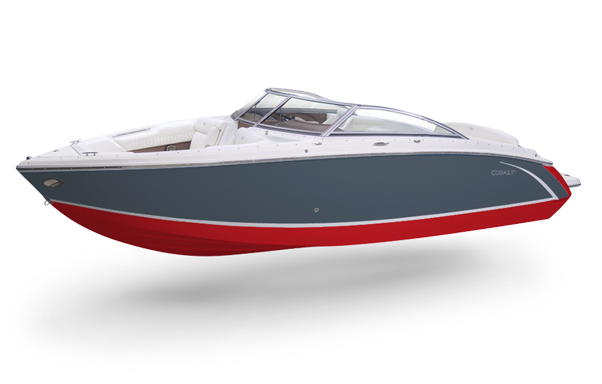 The R Series is the ultimate line of sport runabouts, designed with smooth, stylish lines to cast an aggressive stance in the water, and the nimble handling to perform no matter the activity. 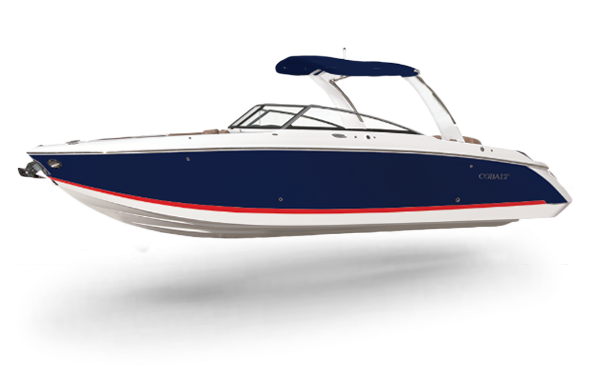 Whether you’re getting together for a sunset cruise or taking the whole family out for a day of water sport fun, the R Series is primed to perform. With an interior beam measurement that’s up to a foot wider than any competitive runabout, the R Series offers an roomy, expansive interior. 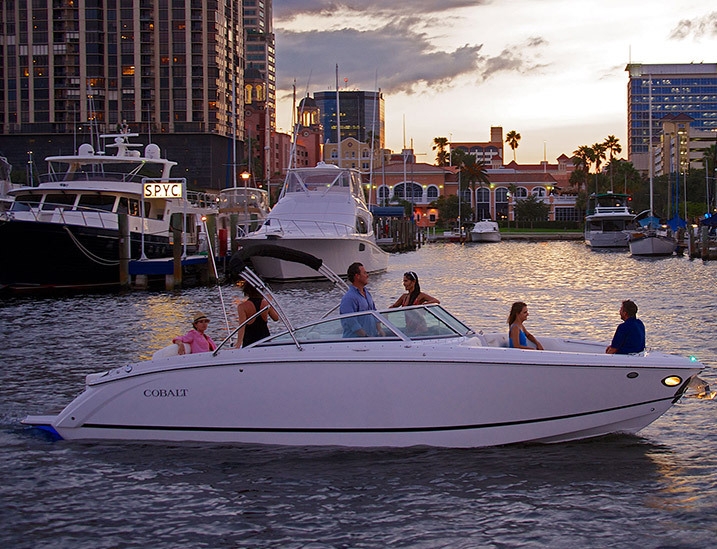 With wrap-around, yacht style seating, there’s plenty of room for passengers and their things. 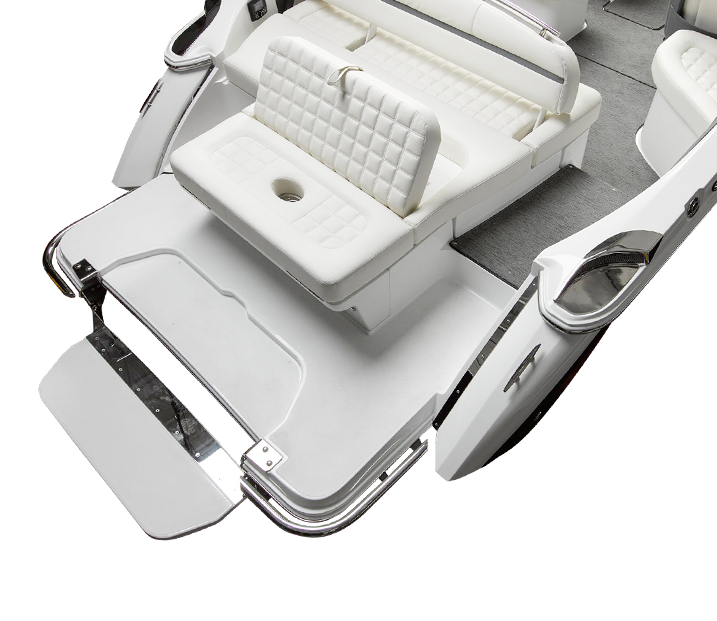 Plus, the upholstery is double-stitched to lasting perfection, adding a touch of luxury to a sporty day on the water. And with a passenger seat that adds convertibility to the cockpit, the R Series can accommodate groups of all sizes – and do so with class. 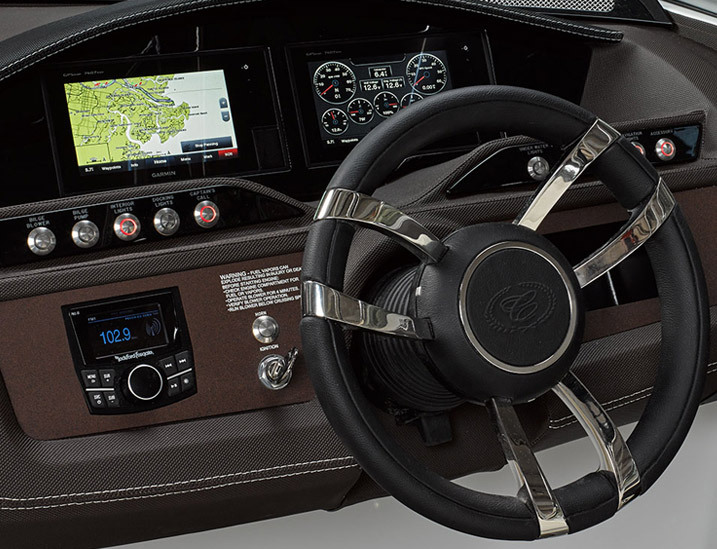 At the helm, we’ve incorporated duotone aluminum dash panels, stainless switches, a form-fitted, baseball-stitched eyebrow, glass cockpit and standard GPS – all complemented with piano black accents. Of course, in keeping with Cobalt tradition, the steering wheel is wrapped in leather. But stepping outside of tradition and pushing things forward, it also features a JL Audio speaker system, a Rockford Fosgate head unit and Bluetooth capability. 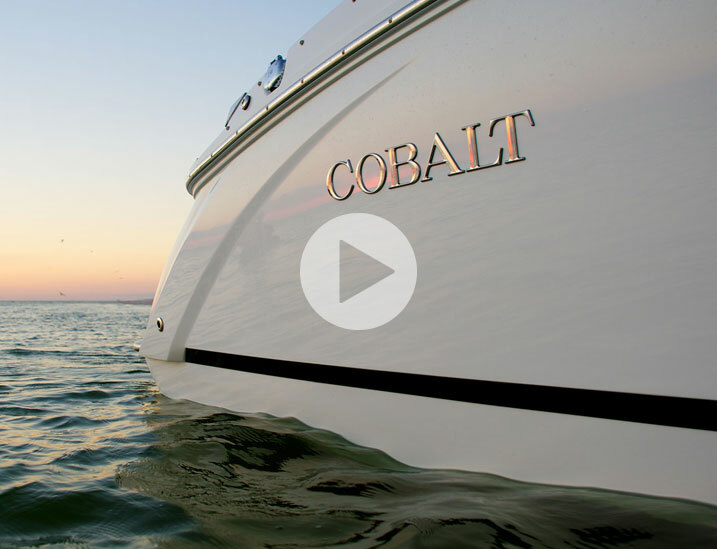 The R Series pushes boating forward in unexpected ways, ranging from a roomier, expansive interior layout to sleek, unique exterior lines – all without compromising the performance or ride expected from a Cobalt. 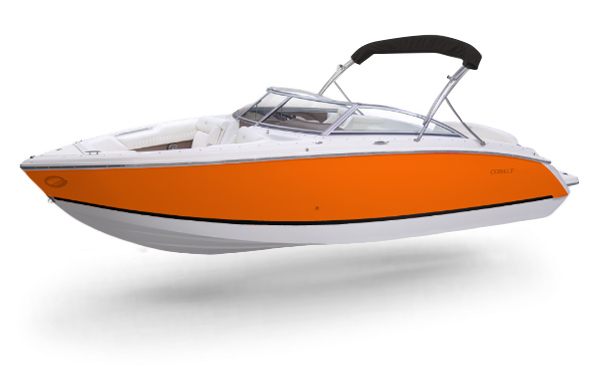 Some R Series models also feature a patented flip step platform that lowers beneath the surface of the water, making for easy entry and exit for boaters of all ages. 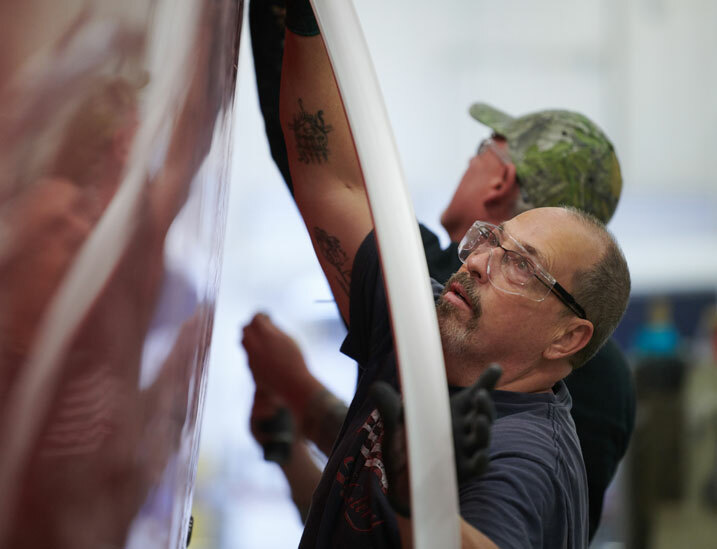 A bold exterior is complemented by our walk-thru transom platform and aft sunpad, rounding out a design that allows the R Series to stand apart in or out of the water. 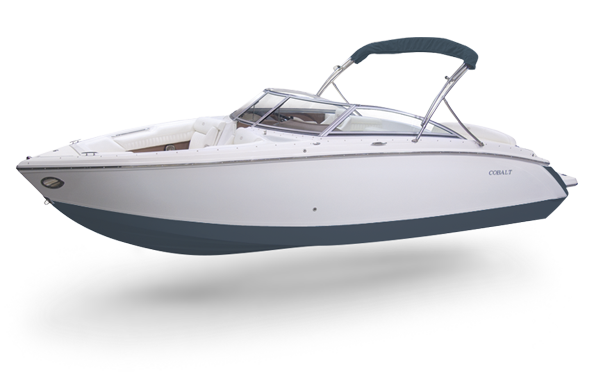 An already roomy interior layout is made even more flexible with a twice-wide passenger seat and a console door that opens to a head that’s larger than any boat in its class. 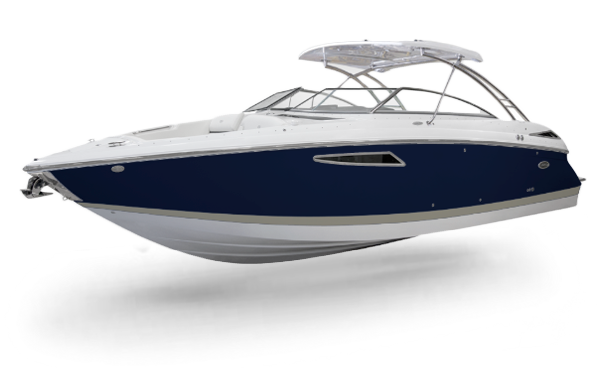 It’s an overall design that marries form and function, but never loses sight of that distinctive Cobalt look and feel.